Instead of Campbell Newman’s destructive coal and casino obsession, the Greens have a positive vision for Queensland’s economy. The Greens say it is time for Queensland to have another trial of daylight saving and then let the public decide whether to adopt it permanently. The Newman Government’s 30-year plan, released today, ignores the results of the government’s own public consultation, supposedly used to develop the plan. The Australian Greens today condemned Premier Newman's plans to water down Queensland's Crime and Misconduct Commission (CMC) and abolish the requirement for bipartisan appointments as a return to the Joh days. "Yesterday as NSW's ICAC claimed another scalp and the Victorian Government moved to strengthen their anti-corruption body, Queensland's Premier was taking us backwards with his proposals to weaken the CMC and introduce partisan appointments," Senator Larissa Waters, Australian Greens spokesperson for Queensland, said. Hi everyone, it’s so great to see so many of you here – give yourself a round of applause for having the heart, the guts and the determination to send a message to Tony Abbott. I would like to acknowledge the traditional owners of the land, the Turrbul and Jagera people, and their elders, past, present and future. Australian Greens Leader Christine Milne today launched the Greens candidate for the Griffith by-election, Geoff Ebbs, saying the by-election would be a test of Prime Minister Tony Abbott's leadership and his secretive government. "Despite his secretive government, Tony Abbott's true agenda of driving harsh budget cuts and environmental vandalism at the reef and in our forests has been exposed," Senator Milne said. The Australian Greens today urged young Queenslanders to enrol to vote before the Australian Electoral Commission deadline on Monday at 8 pm to make sure their voices are heard on Election Day. "Almost one in three young Queenslanders could miss out on having their voice heard this election, with 29 per cent of 18 to 25 year olds in the state unenrolled. 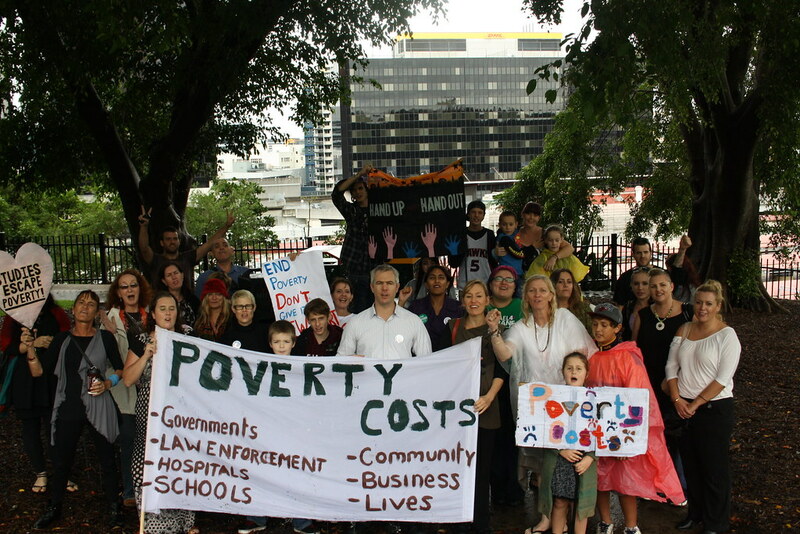 That's the highest percentage for any state across the country," Greens Senator for Queensland, Larissa Waters, said near the QUT city campus today where she joined Greens candidates reminding students of the Monday deadline.